The PrideAdvantage fueling program brings you the most advanced fueling controls – 24 hours a day, 365 days a year – via a network of more than 55,000 sites nationally. Everywhere you see a Pacific Pride, Fuelman, Chevron, Texaco, Pilot, Love’s or Flying J sign, your PrideAdvantage card is welcome and accepted. With PrideAdvantage, convenient fueling locations allow you the east of carrying one fueling card that provides you with a single detailed invoice to better manage your fuel purchases. And most importantly, PrideAdvantage will give you a fueling program tailored to your requirements including, an unrivalged diesel network industry leading security controls and online account access. 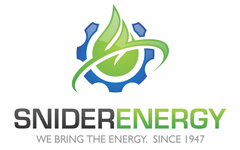 Snider Energy is an independent franchisee of the Pacific Pride Automated Card-Lock Commercial Fueling System.